This weekend I was able to make some good progress assembling the rudder. This was probably the most challenging assembly work that I have done in terms of the number of steps and the number of areas where a small goof can have very negative consequences. 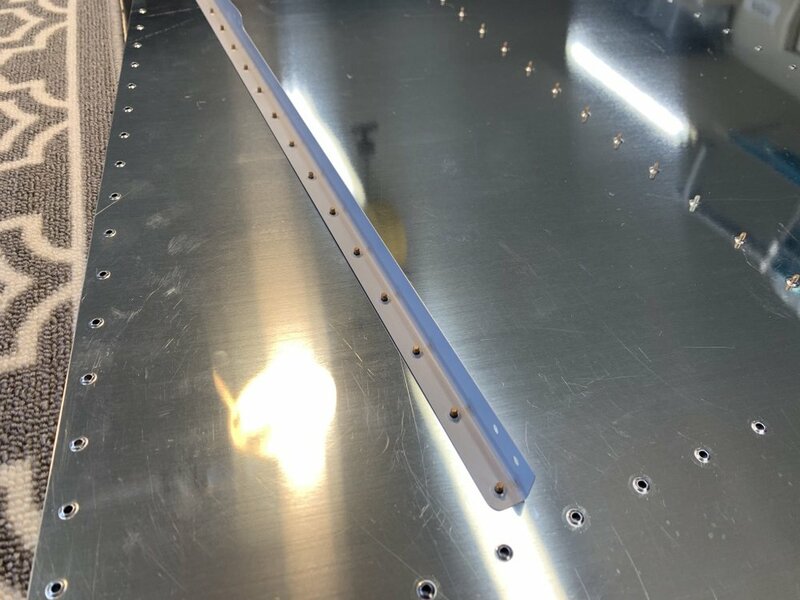 Since it was early and I couldn’t run the compressor, I decided to start working on fixture to hold the trailing edge straight during the assembly. 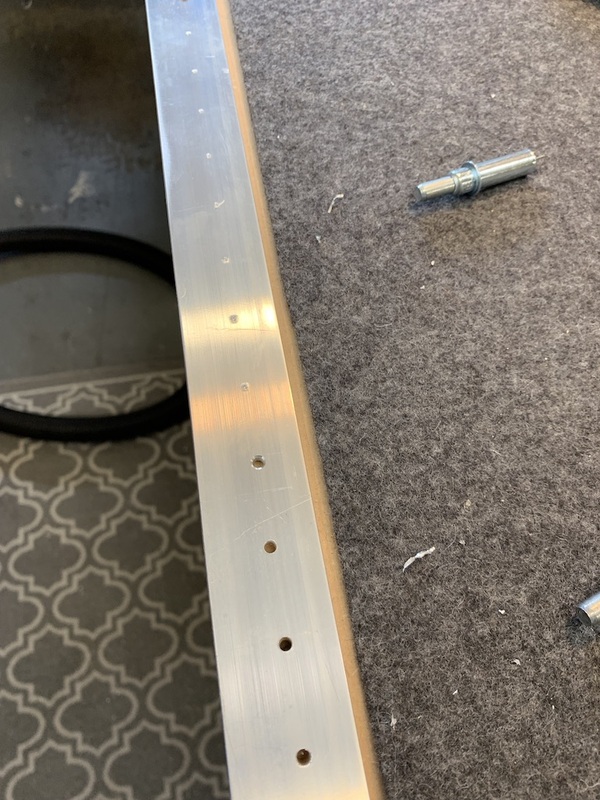 I was nervous about enlarging the holes on the trailing-edge wedge or skins, so I used the trailing edge wedge as a template and center punched each hole into the angle stock. 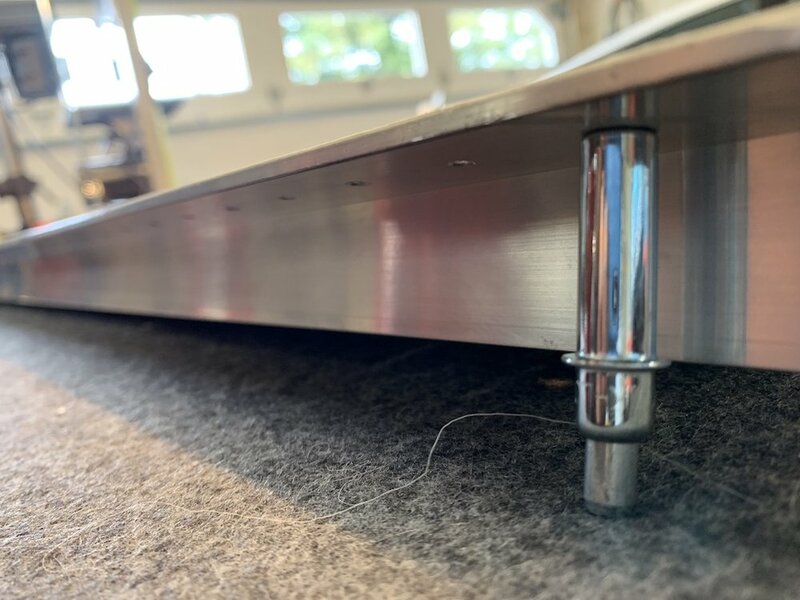 Then, I drilled through the angle with a #30 drill which is slightly larger than the #40 holes in the trailing edge to allow for minor missalignment (I got this idea from others online). 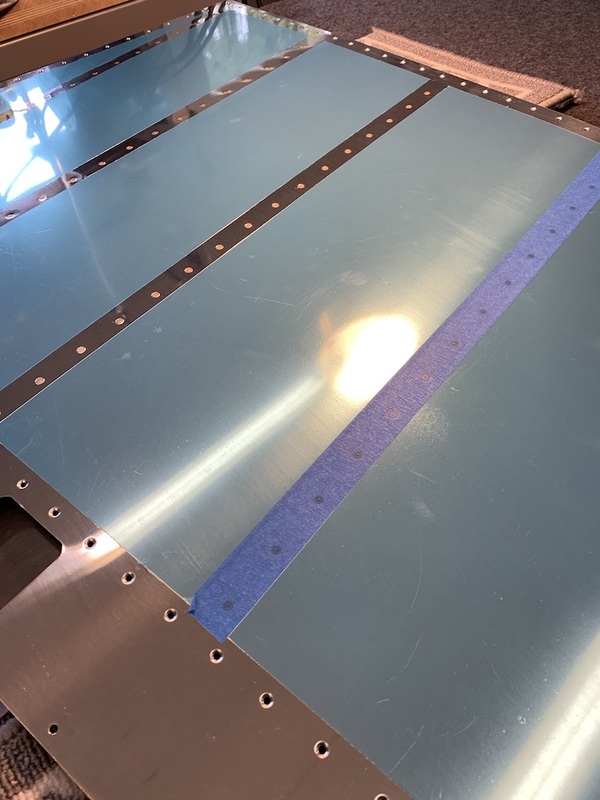 The next step was to back rivet the stiffeners to the skins. 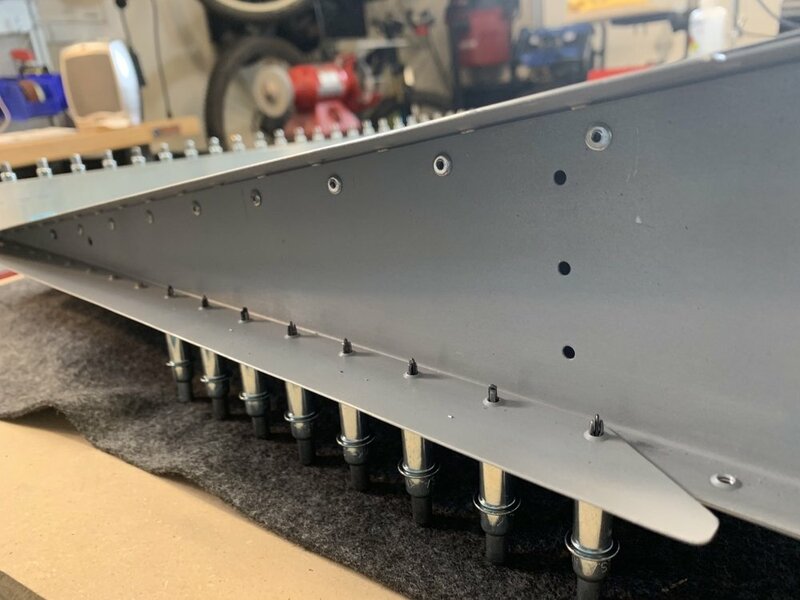 As many have said, back-riveting is a quick and fairly straight forward way to set a lot of rivets. I tested the rivet tape and blue painters tape and I found that I preferred the blue painters tape. 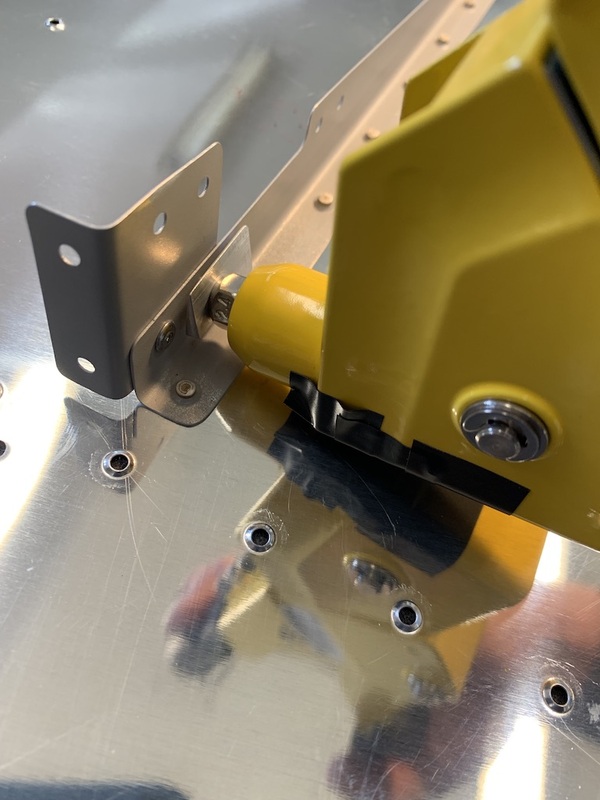 After riveting the stiffeners the trailing-edge wedge was adhered to the right skin with the VHB adhesive that Van’s recommends. Finally, the shear clips were blind riveted to the right-skin stiffener while being careful to maintain the proper orientation. In this process, it was important to use the small wedge tool recommended by Van’s. After attaching the shear clips to the right skin, the left skin was joined to the right one shear clip at a time like a zipper. Once you get one shear clip riveted then you peel some of the backing from the double sided tape and adhere the top skin to the wedge. As you progress from the bottom to the top you continue to stick the left skin to the trailing edge wedge. Through the process I was careful to place a piece of scrap sheet-metal on both sides of the skins to prevent accidentally denting the skin as I set the blind rivets. This whole process convinced me that I need a pneumatic rivet puller. 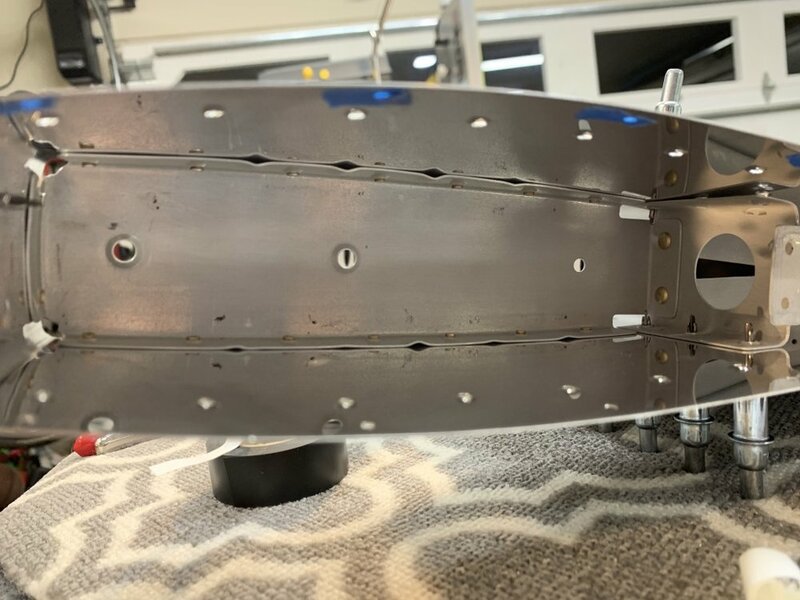 After riveting all the shear clips, the spar assembly was inserted into the new skin assembly and the blind rivets were applied. The skeleton was then inserted in place between the left and right skin. I riveted the bottom rib, attach strips and the rudder horn brace. I used the squeezer for all the solid rivets in these locations. I swapped between my 3” no hole and longeron yoke for the various locations depending on the access. After completely riveting the skins and skeleton together I finished the counter-weight installation.